Do you have a better photo of Toney? Lost to gun violence on July 8, 2014 in Montgomery, Alabama. MPD investigates homicide after shooting death on S. Jackson St.
17 candles have been lit for Toney. Light a candle for Toney. 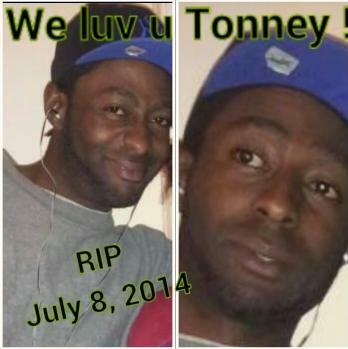 Ask your friends to light a candle or come back tomorrow to light another candle for Toney.